The choice of 3 programs (only one bottlenose program) plus lunch and photos for $300. 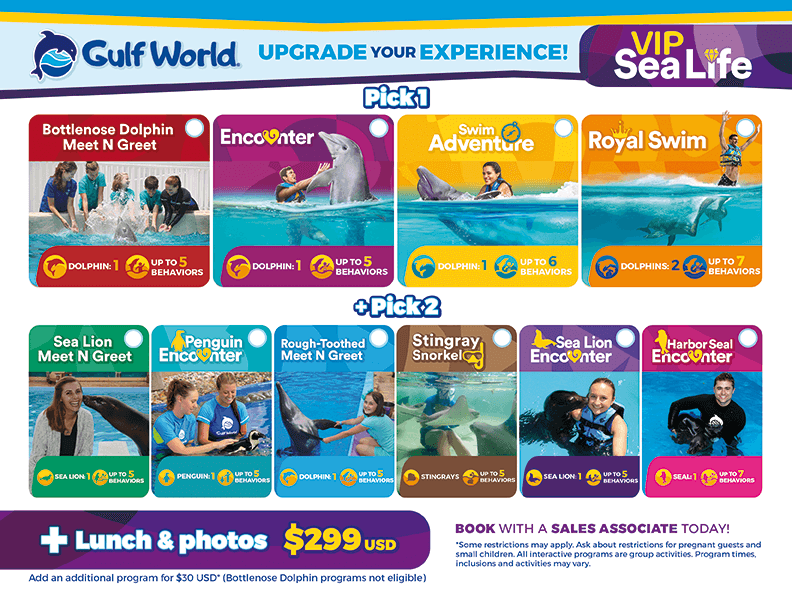 Interact with three different species, enjoy the shows and exhibits and have an experience of a lifetime at Gulf World in Panama City Beach! Height/Age requirements vary by program. To learn more about the specific programs click on the links below. Fill out the form below to book this special program. This program is available 7 days a week rain or shine with limited spaces. This program is not eligible for additional discounts.